The Duff Guide to Ska: Duff Review: The Selecter "Live at the Roadhouse"
Duff Review: The Selecter "Live at the Roadhouse"
Various incarnations of The Selecter have released live albums over their 38+ year existence (in particular, check out 1992's scorching Out On The Streets with Neol Davies, Pauline Black, Nick Welsh, and Martin Stewart--or 2015's positively amazing Access All Areas, which was recorded in 1980 with all of the original members of The Selecter--read our review of it here) and Live at the Roadhouse captures the current (and really great) iteration of the band in top form, performing stellar tracks from their last few albums (String Theory, Subculture, Daylight), as well as their old 2 Tone chart hits and fan favorites. In addition to documenting the entire concert, the Live at the Roadhouse DVD features a nice, if a bit scattershot, interview with Pauline Black and Arthur "Gaps" Hendrickson that also manages to highlight their charming, decades-long friendship and easy rapport with each other (Pauline: "I'll always make music until I drop off my perch, I think." Gaps: "I'm in, oh yeah, I'm in. You know, I can't see me doing anything else. You know, here I am. I'm free!" Pauline: "We're too old to go back to our day jobs!"). Having seen The Selecter during their past few visits through NYC, I can certainly attest to their superb, spirited, and all-out fun live shows--and Live at the Roadhouse certainly reflects all of that and more. 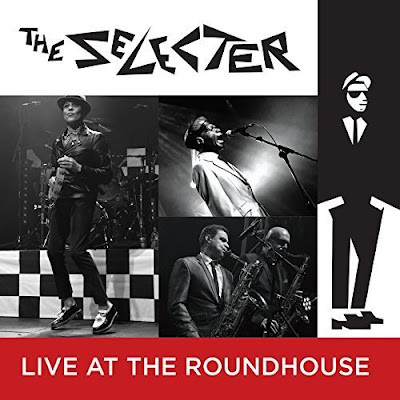 This one's a must for Selecter fans. 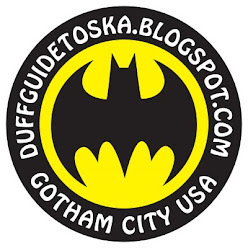 Duff Review: The English Beat "Here We Go Love!"